What are the best ways to attract and benefit birds? This multimedia program featuring images, sounds and video of local backyard bird species will help us all become more Bird Friendly at home. Discover the best choices for bird feeders and seed, native plants, water features and bird houses to improve backyard bird habitat. Do sparrows confuse you? Trouble telling Downy from Hairy? A program for those who enjoy watching birds and want to know more about them. Presenter Jim Van Gelder will cover basics of bird identification along with suggestions for equipment and good local birding spots. Do sparrows confuse you? Trouble telling Downy from Hairy? This program is for those who enjoy watching birds and want to know more about them. Presented by Jim Van Gelder, seasoned birder and OCAS Field Trip Committee chair, will cover basics of bird identification along with suggestions for equipment and good local birding spots. Have you seen any couas, vangas, lemurs or baobab forests around here lately? Lee Hunter, Mearns Bird Club member and sociologist, will bring all the unique birds, animals, and habitats of Madagascar right to us when he shares photos from his recent birding trip to this beautiful island off the southeastern coast of Africa. What are the best ways to attract and benefit birds? This multimedia program featuring images, sounds and video of local backyard bird species will help us all become more Bird Friendly at home. Discover the best choices for bird feeders and seed, native plants, water features and bird houses to improve backyard bird habitat. Our speaker is Anne Swaim, Executive Director, Saw Mill River Audubon. Lifelong birder Bill Fiero will share his photo show of the fantastic birds he photographed in Scotland. He is lover of travel, photography and the world of birds. Come learn about the birds local to our area in the winter months as well as information about how to become involved in the various citizen science bird counts. 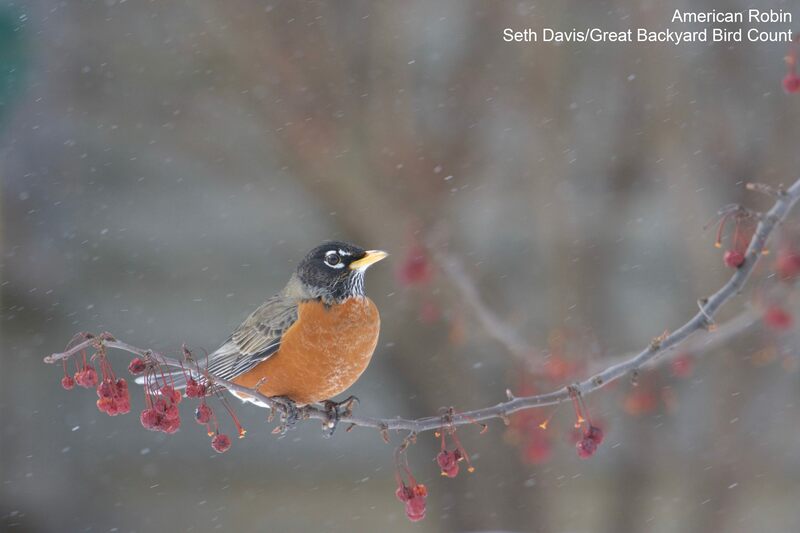 Join Michael Bochnik, President of the Hudson River Audubon Society, to learn about the Annual Christmas Bird Count, a census of birds in the area, which has been taking place for 91 years. In addition to the history, participation and purpose of the Christmas Bird Count, Michael will discuss how to be involved in other ongoing citizen science projects. Come meet Patricia Johnson from the Center for Amphibian and Reptile Conservation and learn the 12 different species of turtle we have in New York and why it is important to preserve our remaining populations. Also learn what a wildlife rehabilitator does and how that contributes to conservation, as well as simple steps everyone can take to preserve these majestic animals. Special guest appearances by the Center for Reptile and Amphibian Conservation’s educational Turtles. Click to visit the Turtle Advocate website. Orange County Audubon Society presentations are held the first Wednesday of the month, September through June at libraries throughout Orange County.